You wouldn’t show up 30 or 40 minutes late for a 60 minute meeting with a potential customer, would you? The answer of course is ‘No’. But everyday sellers are doing something similar, even worse – they are turning up more than half way through the buying process. This tardiness is costing sellers dearly. In this insight we will help you to build the business case for getting involved earlier in the prospect’s buying process. Buyers And Sellers Live In Different Time Zones! We asked a group of 81 sales people from more than two dozen industries when they entered into the buyers buying process. Using the industry standard seven step procurement model (with which so many professional buyers are familiar) we asked salespeople what stage they became involved. The results are shown visually below. The majority of salespeople surveyed are arriving late in terms of the buyer’s process, with 6 out of 10 only getting involved at step 5 in the buying process. That is the point where supplier were contacted and proposals or quotes requested. Only a minority of sellers get involved at the earlier stages of the buying process. In our survey only 3 out of 10 got involved at step 2 in the buyer’s process – that is the buyer’s supply market assessment. In these cases the seller’s attention was typically triggered by an inbound inquiry, a white paper download from their website, or somebody signing up for a webinar. Just 1 in 10 sellers said they got involved at step 1, that is the internal assessment of needs within the buying organization. The reason being that they were considered an expert or trustworthy adviser. By getting involved at these earlier stage they believed that the chances of winning the sale jumped to 60% and above. That means ‘the early bird gets the worm’ is a principle that applies in selling too. Only one or two salespeople said their objective was to get involved before step 1, to trigger the needs analysis. 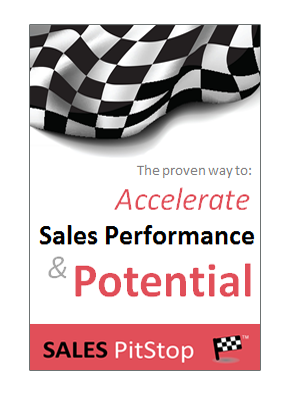 As one salesperson put it this was sales nirvana – although it was associated with a very high cost of sale. How Late Is The Typical Seller? There is a price to be paid for showing up late in the customer’s buying process. It can be calculated in terms of access and engagement, but ultimately in terms of margin. Sellers who arrive late in the buying process often find that there is little to discuss other than price. With the specification set, they inevitably struggle to move the conversation off price and onto value. Are you arriving too late in the buyers process? From the seller’s figures it can be inferred that: 60% of the time the seller is engaging in opportunities with less than a 20% rate of success. That is a worrying figure and a problem if a good overall win rate are to be achieved. If we told you that you could double your chances of success with respect to new deals you would no doubt be curious. Not surprisingly however, there is a string attached. In order to do make it happen you would need to double your cost of winning the sale. Would you still be interested? – A 200% increase in the number of selling days involved for each opportunity. What do you think – would you go for it? On paper at least you’d more than likely be a lot better off. You can download this spreadsheet if you want to explore what the maths look like. It will allow you to establish the business case for getting involved using your own metrics. Not surprising most salespeople recognize that there are additional costs associated with getting involved earlier. It is going to involve more emails, calls, meetings and so on. It means investing in opportunities that may not pay back this quarter, perhaps even this year. 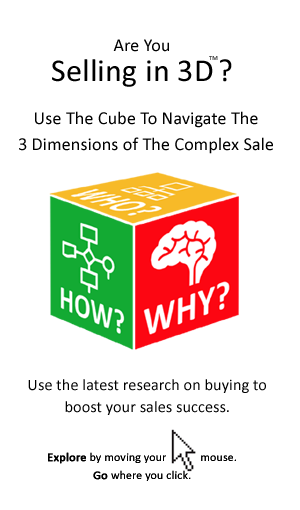 Our analysis suggests that in many cases getting involved at step one as opposed to step 5 in the buyer’s process will double the sales effort (measured in days). Where air travel and overnight accommodation is involved in meeting the customer the extra associated costs can be significant too. So the spread sheet applies this to calculate the impact of getting involved earlier. So getting involved earlier is going to cost you. But then getting involved late is costing you anyhow, specifically in terms of a lower win rate and the increased price pressure associated with being involved later in the sale. The reality is that you are probably going to need to significantly reduce the number of opportunities pursued. That is unless you can increase the size or capacity of your sales team. However, even when this happens the maths is still very good. In the spreadsheet we have assumed a 20% reduction in the number of opportunities that are managed in the ‘getting involved earlier’ scenario. Investing additional sales time in each opportunity in order to reduce the risk, or more precisely increase your odds of success, would appear to make sense. This is particularly true where opportunities are effectively pre-qualified, or at least profiled. Take 10 deals where you were involved early and 10 where you were involved late. Then compare the win rate and margin achieved in respect of each group. Use the spreadsheet to calculate the impact of increasing the proportion of deals where you are involved earlier. In doing this you are building the business case for earlier involvement. Finally, set about creating a plan to get involve earlier. That is going to involve working more closely with marketing, as well as a system to nurture those prospects who you contact but are not ready to buy.